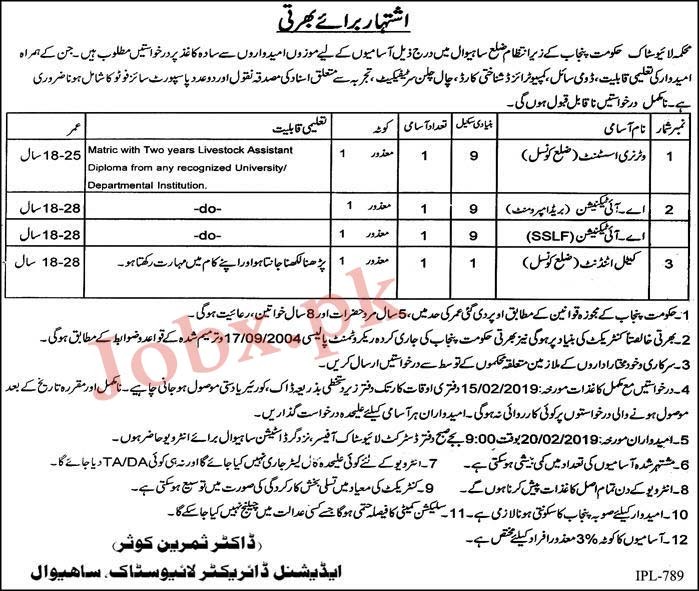 Jobs issued in Livestock department government of Punjab in the district of Sahiwal. These positions are for disabled people. Male and female both can apply against these vacancies.